On Thursday, gaming company DotEmu announced via Twitter that 1990 game classic Another World will be coming to Nintendo Switch later this year. As reported by PocketGamer, this will be the more up-to-date 20th anniversary edition of the game from 2011, with crisp graphics and longer gameplay. Originally released as a computer game for Amiga and Atari ST in 1991, Another World tells the story of a young scientist, Lester Knight Chaykin, who ends up fighting for his survival in an alien world after an experiment goes wrong. Since the game’s initial release, creator Eric Chahi has released both 15th and 20th anniversary editions. He has worked with multiple gaming publishers (with Headup Games handling the latest edition) on multiple platforms, including PlayStation 4, Android, iOS, Xbox One and Windows. The action-adventure platformer’s influence can be seen in well-known titles like Silent Hill and the original Metal Gear Solid. The exact release date for Another World on Switch is not known at the time, other than the port will arrive this spring. With so many old-school games being brought back, it will be nice to see what games get re-released next, to both new and old-school gamers. 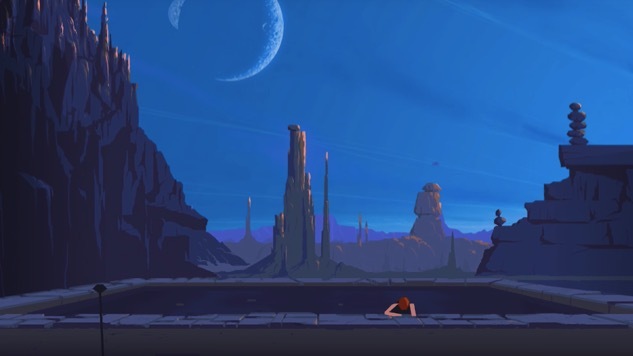 Watch the Another World announcement trailer below.